I love all the different looks to this! 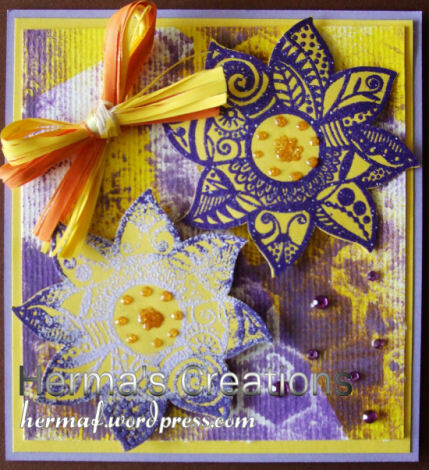 Wonderful combo of colors Herma…love the card! Wonderful card- love the stencil on the BG- and the colors are beautiful! I always love it when you take a week- love to see what you create!